Nothing says vacation like Cabo and when it comes to entertaining the family this exotic beachside destination has it all. Outdoor enthusiasts will discover endless activities from sun up to sun down including deep sea fishing, boating excursions, horseback riding and all the watersports action you can imagine. You only have to decide where to begin. Explore San José del Cabo. There are plenty of Los Cabos activities and San José del Cabo activities to choose from, and all can be arranged through the professional San José del Cabo activity planning services of our knowledgeable on-site concierge staff. Let us know what activities in San José del Cabo you would like to do, and we will make it happen! When booking Los Cabos activities be sure to ask for your VIP discount, available to all guests of Cabo Azul Resort, and contact us at any time if you have any questions about the best Cabo activities prior to your arrival. 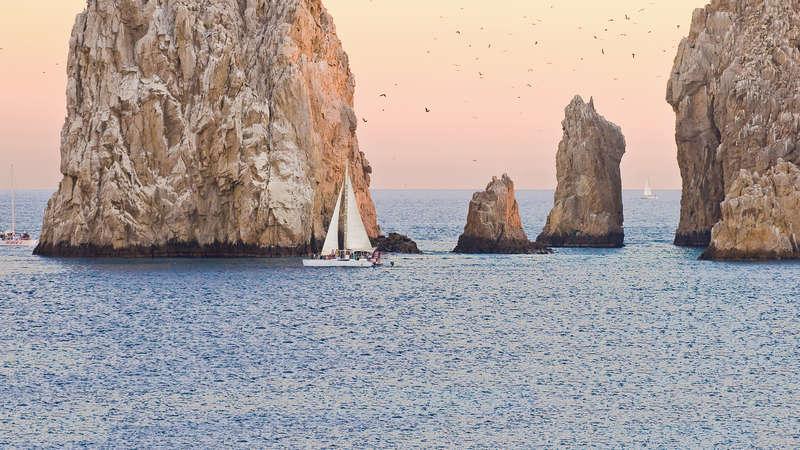 Los Cabos possesses the ideal environment for any adventure seeker. The warm breezes sweeping off the Sea of Cortez and onto the hot, desert peninsula create the perfect climate to enjoy all of your favorite Cabo activities. From a myriad of daytime Cabo activities and stunning tourist attractions such as The Arch to the gorgeous and peaceful beaches of Los Cabos, our resort and spa is ideally located for those seeking the best in relaxation, recreation, and adventure in Los Cabos. Cabo Azul Resort offers a centralized location to all of the wonders in San José del Cabo that make us a world-class vacation destination. We specialize in San José del Cabo activity planning. Whether its golf on one of the world's most picturesque golf courses, trademark Cabo activities in the water, world-class shopping, top notch sports fishing, or up-close encounters with dolphins at the specially designed dolphin center in San José del Cabo , activities in San José del Cabo for you to choose from are boundless. We specialize in San José del Cabo activity planning, so you can pack as much fun and adventure as possible into your visit to the Cabo Azul Resort. Adventure-filled activities including Go-Cart racing, surfing, bungee jumping, ATV riding, Jeep off-roading tours, camel rides and more! To learn more about all our resort activities, schedules and details, see our Concierge Desk.